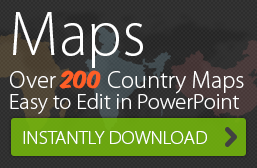 Very Fast – We often complete your PowerPoint presentation and send your deck back in less than 24 hours*. That is why we call this site 24point0. On Time – Notice the Swiss train clock as part of our logo? We can’t beat a Swiss train for on time reliability but we are very close! 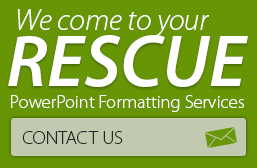 PowerPoint Formatting – Typically we take rough Power Point presentations sent to us by consultants like you. We polish them, and return them in time for your meeting. We are creative and we understand design, we understand speed too. And we combine both. For Consultants – Our long-term relationships with consulting firms have shown us that our work adds value to consultants as we help them save precious time. We are good at what we do. Across the Globe – 24-hour turnaround* seems to work best for North and South American customers. The 12-hour time difference with India makes it more feasible. We have also succeeded in giving quality on-time presentation formatting support to many European and Asian customers. Contact us today to find out more about getting your PowerPoint presentations formatted professionally by experts. Read answers to the most common questions we at Chillibreeze are asked by first-time customers. 24-hour turnaround is possible for consultants and corporations located in the Western Time Zone. 24-hour turnaround is limited to PPT formatting and other document formatting of up to 25 / slides / pages. 24-hour turnaround is not always possible on the first project for new customers. Initially we work with you to get a clear understanding of your requirements and expectations with the first project.